Nestled in the foothills of the Titiwangsa Range is a sprawling property amidst an oil palm estate. 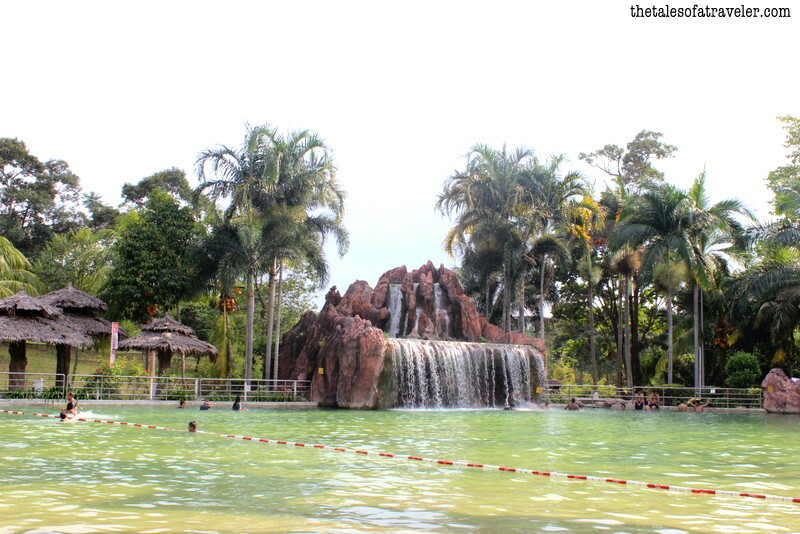 Felda Residence Hot Springs is one of the most popular escapades for both tourists and locals, famous for hot water springs and therapeutic treatment. 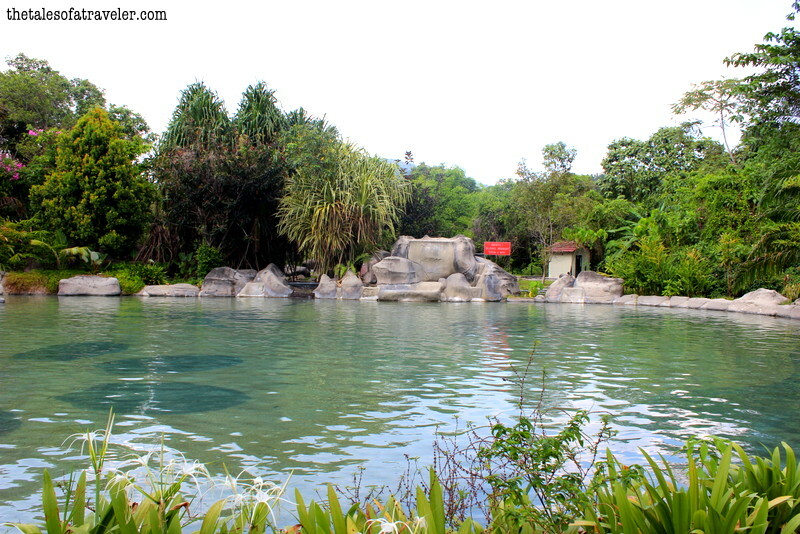 The resort is not too far away from Sungai Klah Village. We started from the Weil hotel in the afternoon post lunch and reached Felda resort in one and half hours. The weather was warm and humid. We were greeted by the marketing team of Felda resort near the check-in counter and were escorted to the restaurant for some quick refreshments. During the refreshments, we had a brief session about the property. Then one of the representative’s from the marketing team showed us around the resort. 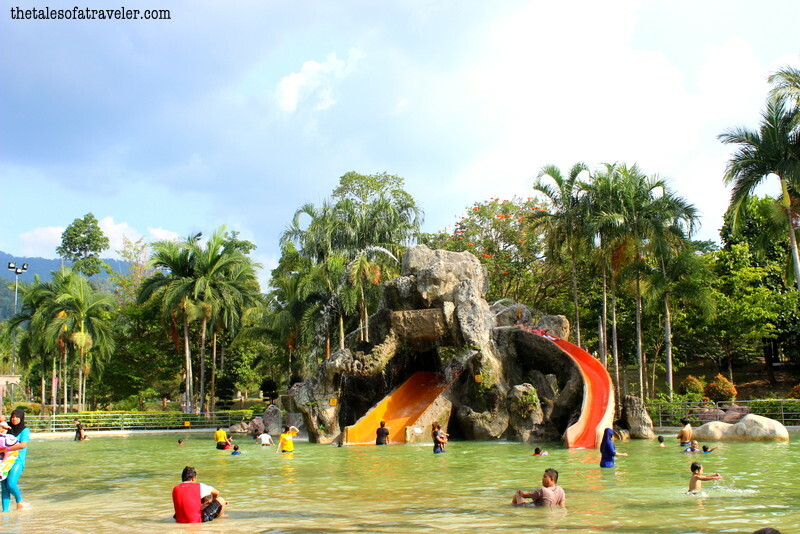 Here are some of the major tourist attraction offered by the resort. This is a perfect weekend getaway from Perak and Ipoh. There were 6 different pools with varying temperature across the park. The one below was at 100 degrees celsius. There was an another large pool where people go out for a therapeutic bath. But it was so hot that day that none of us had the courage to take a dip in the pool. It made me wonder, how were kids able to enjoy playing in the pool when it was such a hot day. The Hot Water Spring pool has therapeutic properties and is considered to cure illnesses like Asthma, kidney stones and skin diseases. If you need some privacy then you can also rent out a room with a private jacuzzi and beat the weekend crowd. 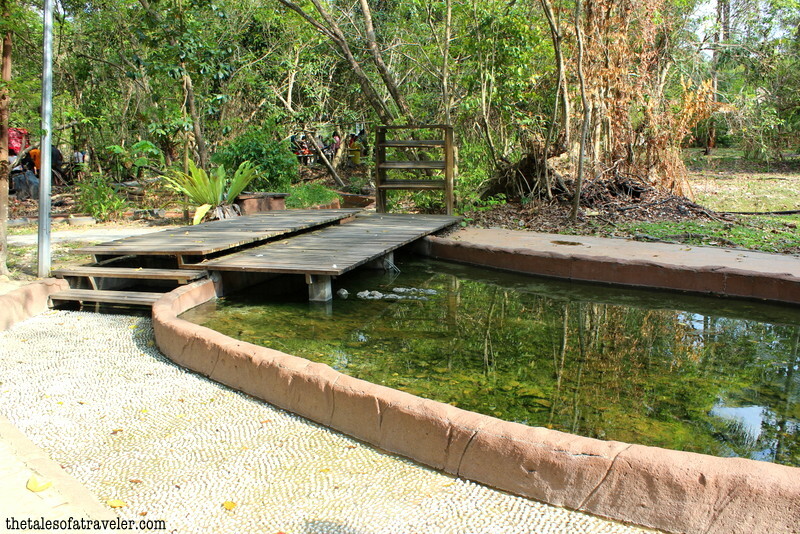 There is a pebbled reflexology walkway around the park where people walk on naked feet which ensure that pressure is applied to the feet at specific areas which help in healing and relaxation. 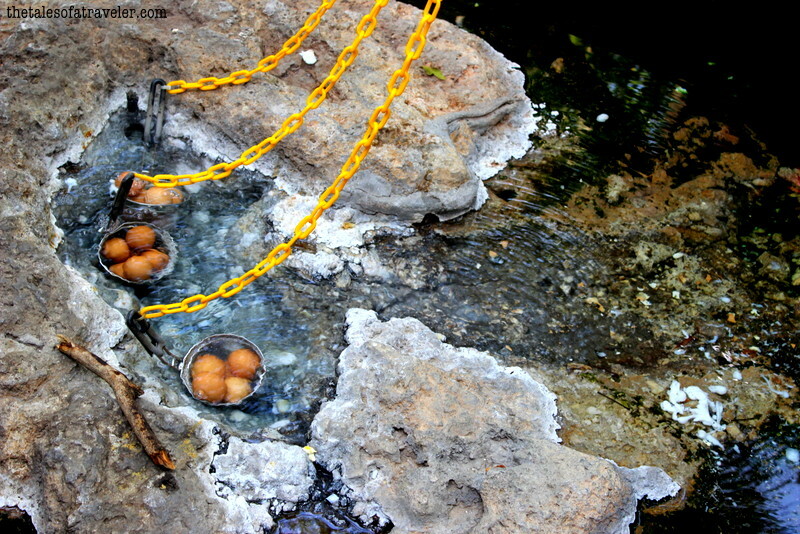 There was also an egg station where you could boil eggs in the hot spring water. Raw eggs can be bought from the nearby kiosk and the kiosk owner advises the tourists about the time they need to boil the eggs for based on what they want like half boiled and full boiled. This was quite popular among the kids. There was another pool with cold water and slides for kids to play around. This pool was more crowded, unlike the other Hot Spring Pool. People spent time by chilling in the water and getting relief from the sweltering heat. Packages Offered: Honeymoon package, spa package, family package, team building package. You can check the resort website for more details on pricing and availability. The park is open for public. At the Sungkai Toll Exit and turn left at the junction. Just 1km down, turn left and follow the signs. The park is just after the Sungai Klah FELDA village, Perak. The Tales of a Traveler was a guest of Felda Residence as part of the Fam Trip organised by Malaysia Tourism. The place looks like so much fun! And the egg boiling station looks so cool! Very well documented. 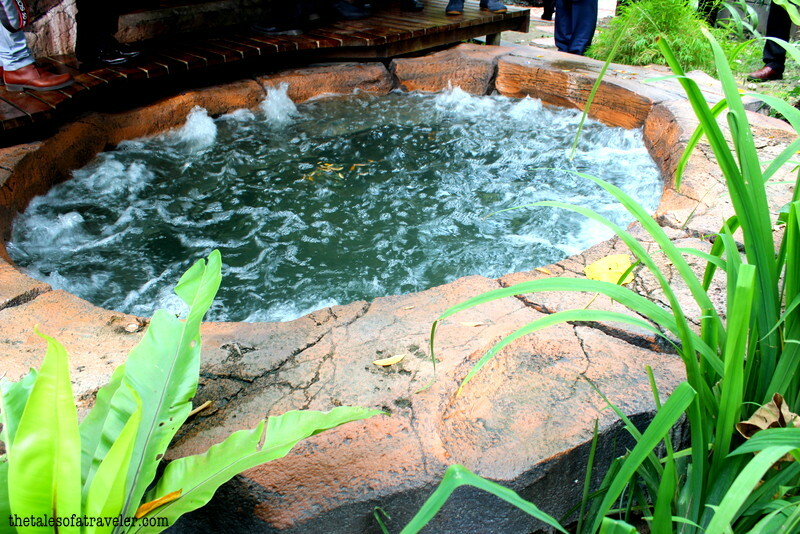 Such innovative ways to use the hot springs along the lines of a tourist destination. Tourist authorities in India should learn from these initiatives. 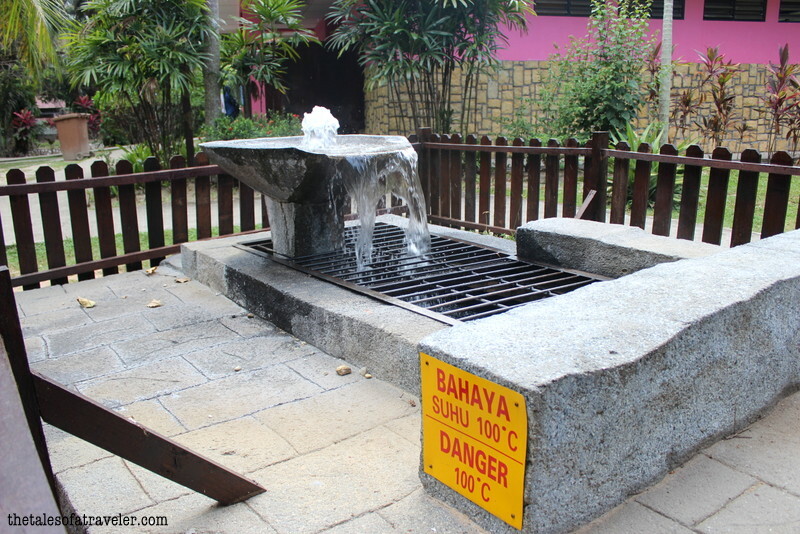 I’m glad that you included the Hot Spring Perak into your blogging list. Most of the people miss on this wonderful place during their trip to Malaysia. Whenever I visit Malaysia, I always take some time out to visit this amazing wonder for a rejuvenating trip. Thank you for the stunning pictures and wow description! It took me to the place just by reading it.